I wanted to share a few things I’m loving from around the blogosphere these days. My lovely friend Alyson at Vintage Sunshine makes the most aDORable hoops [I have one in my sewing room that I love!]. She’s started a Happy Hoops subscription where you can get a monthly hoop for a discounted price. Handmade art makes me happy. :) Click over to her blog to see all the details. 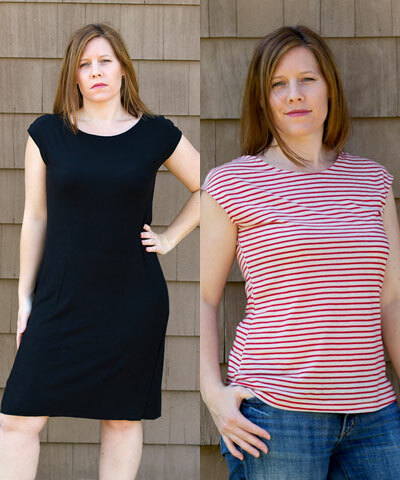 Andrea at Go To Patterns designed the fabulous Casual Lady [affiliate link]- a dress and top pattern that is not only a super easy sew [eventually I’ll show you mine! ], but Andrea has also been donating the proceeds of this pattern to help victims of human trafficking. There’s still a week or so for you to purchase this pattern for yourself and help these women experience freedom in the process. 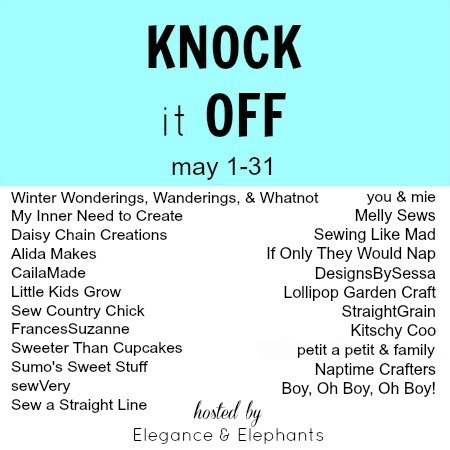 Heidi over at Elegance and Elephants has a sweet series – Knock it Off – that’s going on this month. I’ll be participating later this month! Be sure to check out the fabulous knock offs that have already been posted. What are you loving right now in the bloggy world? Share a link in the comments! Just me, stopping in to say “Hi” !